Just when I thought I was caught up, they have just released a "Phase 2" of products in stores now that I couldn't resist- including this fantastic Ratatouille inspired word cutout piece featuring one of the film's famous quotes spoken by Chef Gusteau: "Only the Fearless Can be Great." 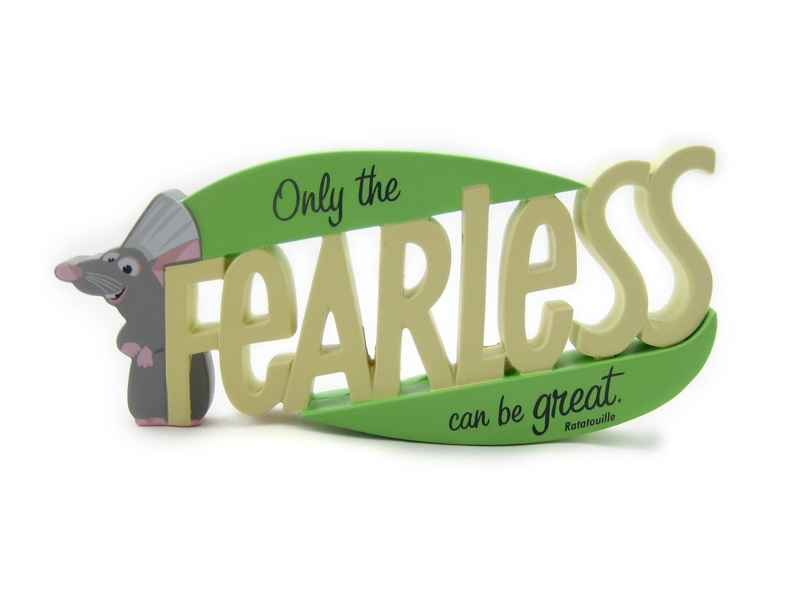 This is a classy, really well made piece for any Ratatouille fan's shelf or desk at home or at the office. It measures approximately 5" W x 2.5" H x 1" D, is made of a resin type material and retails for $16.95.